I presume?" He said the following about the warlike Angoni. 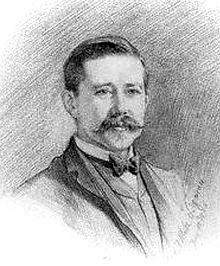 Harry Johnston was instrumental in having Nyasaland (today's Malawi) declared the British Central Africa Protectorate after negotiations with the Portuguese in Mozambique who were also interested in having this land as theirs, and he was made its first commissioner in 1891. "The evidence of Livingstone and other travellers of the fifties, sixties, and seventies, brings home to us the widespread devastation caused by bands of Angoni-Zulus. These Zulu raids over East-Central Africa during the nineteenth century were one of the greatest disasters of its history. They had their origin in the convulsions caused in Natal and Zululand by the conquests of Chaka the Destroyer, and their effects long remained written on the surface of Nyasaland, Northeast Rhodesia and German East Africa. 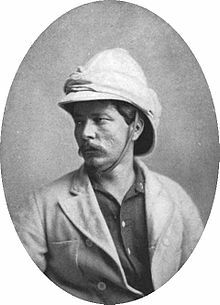 'It was wearisome to see the skulls and bones scattered about everywhere; one would fain not notice, but they are so striking that they cannot be avoided," is an extract from Livingstone's journal as he comes in contact with the Angoni raids in South-west Nyasaland." 'Long ago in the time of my father before the Government took over my district there came a European from Northern Rhodesia who had to shoot, and rob people their property, and did all sorts of evil and damages to man and property, we were protected by the Nyasaland Government; this is one of the reasons that my father willingly placed himself under the Imperial Government Rule because the Deputy Commissioner, Mr. Pearce, had displayed justice and shewed great protection by fining that European and making him to pay all damages made to people. The second reason was that on occasions the Commissioners visited his country, they promised him that his kingdom will be as that of Khama and the Prince of Zanzibar, and that no European will have power over his country and over him, also that Her Majesty Queen Victoria will send a Consul to help him and to strengthen his power and that his people will pay taxes to him and not to Her Majesty the Queen. In course of time after Her Majesty the Queen died, Sir Alfred Sharpe came with the question of collecting taxes, this was refused at many times until 1904 when a treaty was made, and it was more favourable to us than it appears on the attached extract printed by missionaries at Livingstonia Mission. Chidiaonga allegedly pronounced the Maseko Ngoni chieftainship shortly before his death around 1876.